DC School of Management Studies is organizing a mini-marathon on 24th March 2019. To instill a sense of social responsibility and environmental consciousness amongst the people, ENVIROTHON 2k19 aims to spread the message on the need to preserve forests and trees. 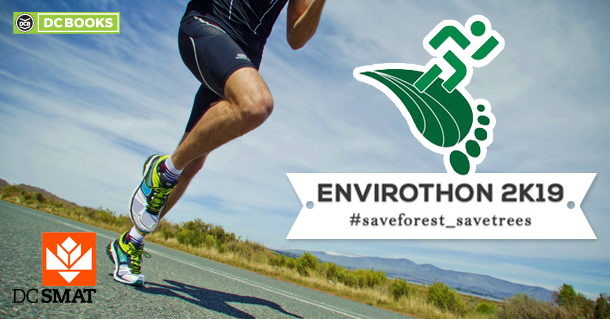 Running along the lush green valley of Vagamon would be picture perfect for the theme of the mini-marathon, Save Forets, Save Trees. To engage communities from all over Kerala, this edition of ENVIROTHON invites participants regardless of age. Exciting cash prizes await the winners in both men’s and women’s categories. The first prize winner will receive a sum of Rs.12000, followed by Rs.8000 and Rs5000 respectively for the second and third prize winners. Participants can register for the event. The fees for registration is Rs.500.